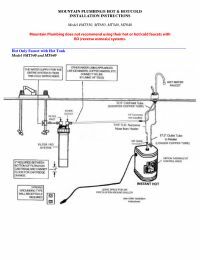 Mountain Plumbing MT650 Two Lever Traditional Hot & Cold Water Dispenser is designed to work with a hot water dispenser tank. It features a self-closing handle for safety. Finding the right faucet is not only about functionality, but also about style. 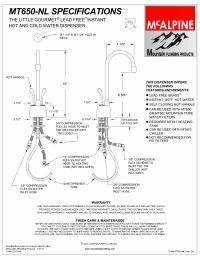 Mountain Plumbing MT650 offers a large selection of finishes to match any home or office.